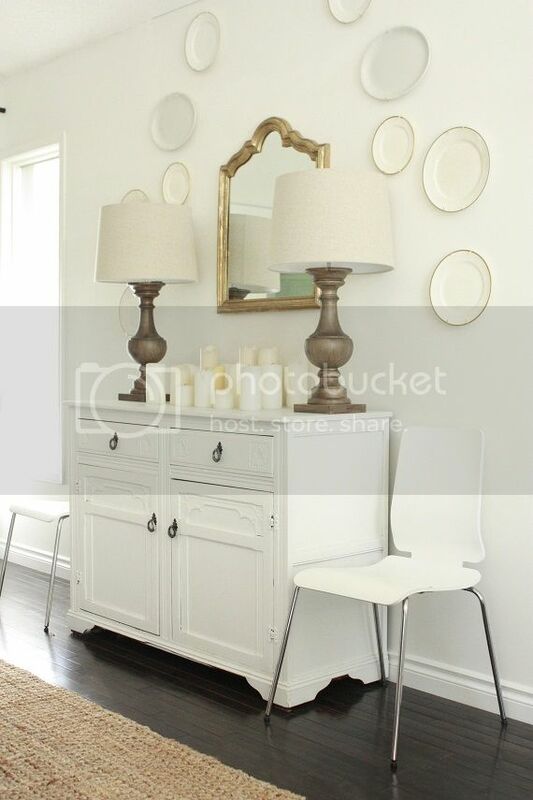 I am making a few minor tweaks in the dining room, trying to merge 2 looks I love: clean and fresh, old and timeworn. It is something that I think may be my biggest stumbling block... I truly do love clean, modern design, but I can't seem to embrace it. Individually, I love many different modern pieces and looks but I could never live in a totally 'modern' home. I love texture, warmth, age, charm and old things wayyyy too much. I think this duality may be part of my inability to feel 'done' with designing some parts of our home. So I am determined to make a few small changes in that direction, while maintaining the qualities I love about what I've already come up with. Sounds crazy, but I feel better going in to it with a plan. Step 1: I brought these Ikea dining chairs in here. I bought the set off Kijiji for super cheap a couple years back. They were brown at the time, but I painted the seats white and keep them on hand for extra seating. They are fresh, crisp and clean looking and a fun mix with the rest of my white, upholstered seating (I decided to only flank the buffet, not bring them around the table as well). Step 2: We are going to be painting the walls! I am undecided on whether to tackle it alone (hello, I am a painter!!) but there are some really high ceilings in here and I may just see if it is worth the investment to save myself some trouble and hire it out. I still love the white in here (Seed Pearl by Pratt & Lambert), but there are days and months when it doesn't translate as a creamy, warm white. The reality of living in a cold climate is that half the year my warm cream looks like a blue-white. I have narrowed down the selection but I have about 4 shades of warm, clay-like taupes and tans that I am deciding between. I cannot wait to see the white furniture pop off the warmer walls! Hopefully this will put an end to my multiple-design-personalities for a little bit! 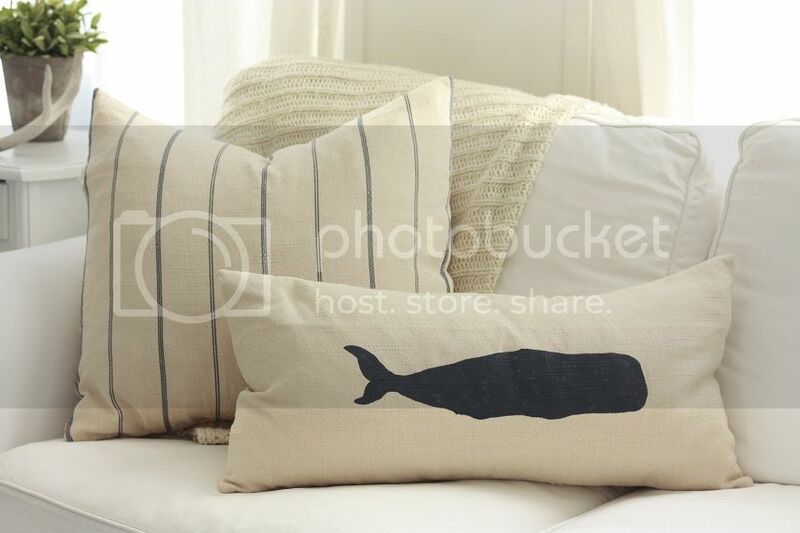 And as a reminder, today is the LAST DAY to enter the amazing SaSea Decor pillow giveaway!!! As I mentioned, about 50 comments went missing the first day and while many of you have re-entered please check to make sure your comment wasn't one of the unfortunate missing ones!